Please send the template to azmthreed@gmail.com. Thanks in advance. Very Cute SD, I need try it. can i build this model too? I want to try to make this. I want build this model too, can you send this? can you send the template to dilaniw.limata@gmail.com?? Wow!!! It Cute SD, I need try it. It seems to be too pretty JakPumInGeo..I will be too thankful for me if I send IJakPum. Please send the template to me. It so cute .. and awesome!! 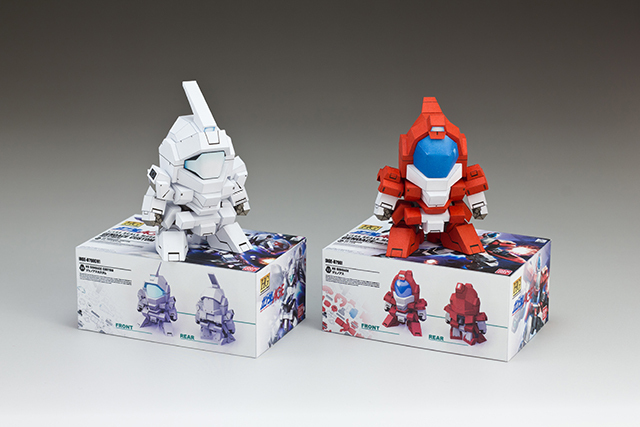 i am kingyip8@yahoo.com.hk why i can't open their box from "SD 5cm Gundamver.3.0_box" inside's "A_White.tif"
It so cute!!! can you send this? SD Gundam AGE-1 Normal 跟 LBX Perseus 的圖紙會發佈嗎? Please send the template to methinee_le@hotmail.com Thank You ^^" .. I want to use the template for my work at school Please Send to me T^T;; ! all your works are incredible!! Please send the template to ryuk6955@gmail.com. Thanks in advance.